Children are natural scientists, artists, mathematicians, authors, and scholars. From the time they are born they seek out information about the world around them in an effort to construct meaning and further their development. While children have an inherent drive to make sense of their reality, parents have a unique opportunity to harness their children’s curiosity and channel it into a love of learning. Mariah Bruehl has worked in the field of education for over a decade. She has taught in the classroom, developed curriculum in many different subject areas, trained teachers, and implemented programs across many grade levels. She is the mother of two girls and the owner of Playful Learning—a retail space and education center in Sag Harbor. Learn more at www.playfulearning.com. Mariah Bruehl has worked in the field of education for over a decade. She has an MS in Elementary Education from the Bank Street College of Education, was a classroom teacher for four years at the Dalton School, and worked in Early Childhood and Elementary Administration for six years at the Hampton Day School, the Ross School, and the Ross Institute Academy. She has taught in the classroom, trained teachers, implemented programs across many grade levels, and developed and implemented curriculum. Her educational influences include the Reggio Emilia Approach, Maria Montessori, and Howard Gardner. She is currently a stay-at-home mother of two girls and the owner of Playful Learning— a retail space and education center in Sag Harbor. 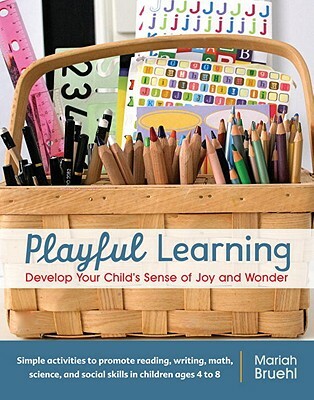 Learn more at www.playfulearning.com.